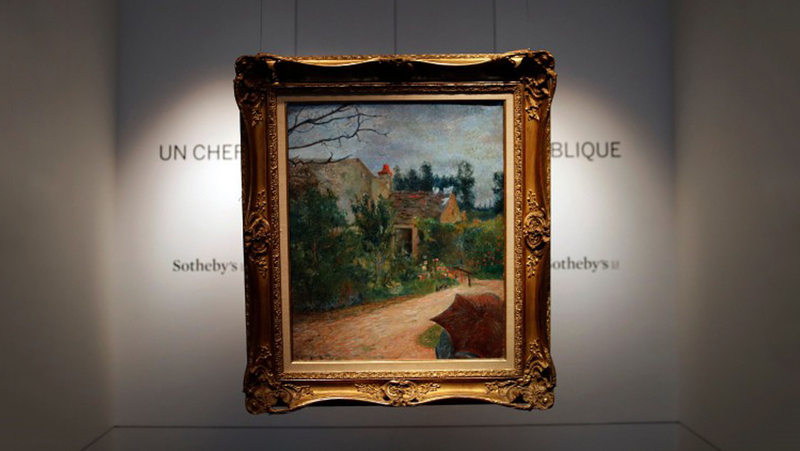 The painting, which has been publicly shown only twice in nearly 140 years, will be the star of the Impressionist and Modern Art sale at Sotheby's Paris on March 29. 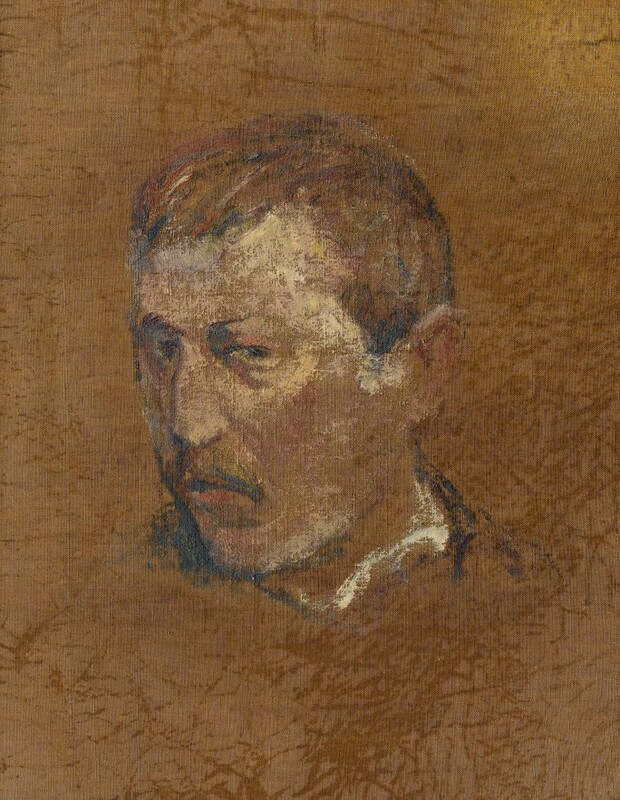 On March 29, Sotheby's in Paris will unveil a rare Paul Gauguin painting for auction that features the two first known self-portraits of the artist on the reverse. 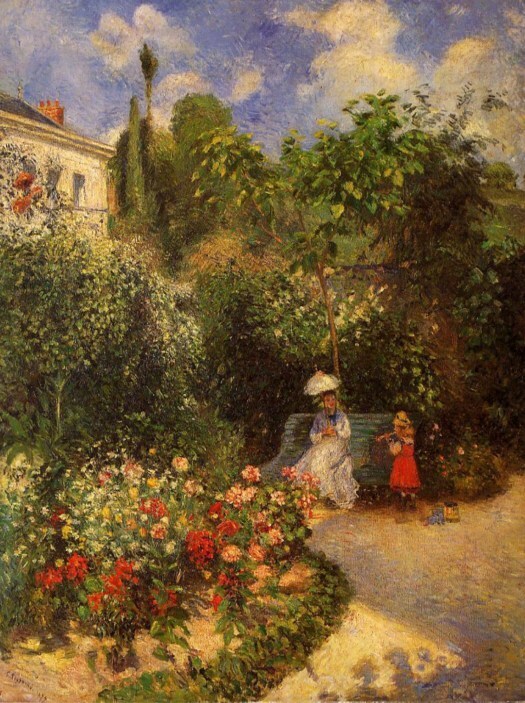 The painting from 1881 is titled Le Jardin de Pissarro, Quai du Pothuis à Pontoise, after the beautiful gardens of Camille Pissarro in Pontoise, where a young Gauguin would travel to on the weekends to paint with the established Impressionist. The painting has been held in the same family's collection for nearly a century and it has only been publicly exhibited twice, once in 1964 in France and at the Cleveland Museum of Art a few years ago. 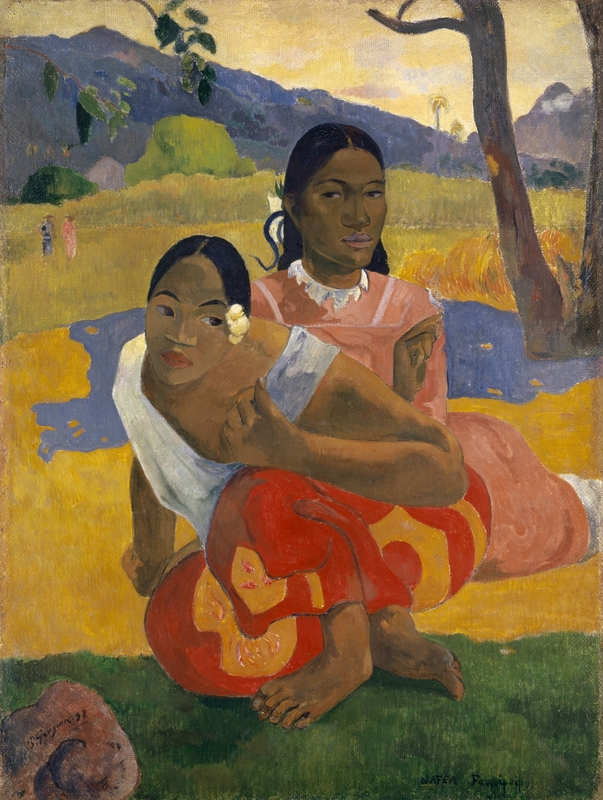 Gauguin's paintings dating from this period almost never appear on the auction market, and as Sotheby's revealed, it is even more unique because of what is on the back on the painting. 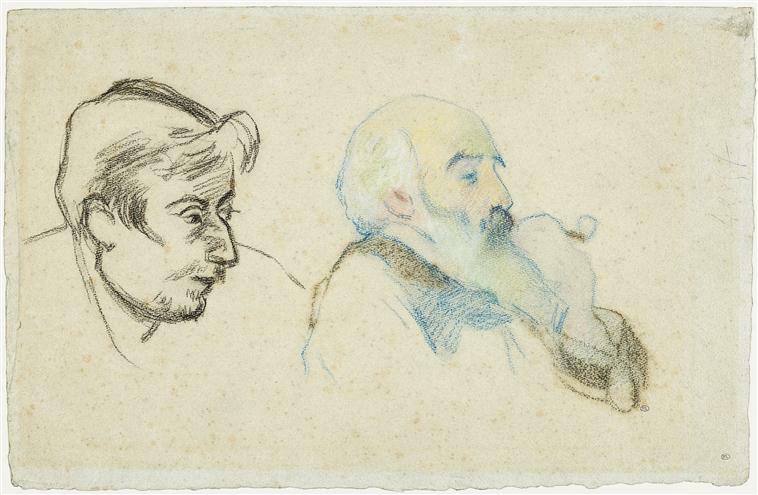 On the other side, there are two sketches of Gauguin, which are considered the artist's first self portraits. There are many double-sided paintings, but it is quite rare to find self-portraits on the back, explains Aurélie Vandevoorde, director of the Sotheby's France Impressionist and Modern Art Department, because they are considered a "major subject of an artist, something that puts him in majesty. " If the presence of the two sketches leaves historians doubtful, the auction house suggests a possible economy of materials because at this time Gauguin was a young, emerging artist. Moreover, the experts consider the painting as one of the only testimonies of the deep friendship that united Gauguin and Pissarro. The two artists met in 1879, when Paul Gauguin abandoned his job as stockbroker and made his debut as a painter. The celebrated Impressionist, 18 years Gauguin's senior, would bring him under his tutelage and teach him about the interplay of light and color and depicting a landscape. 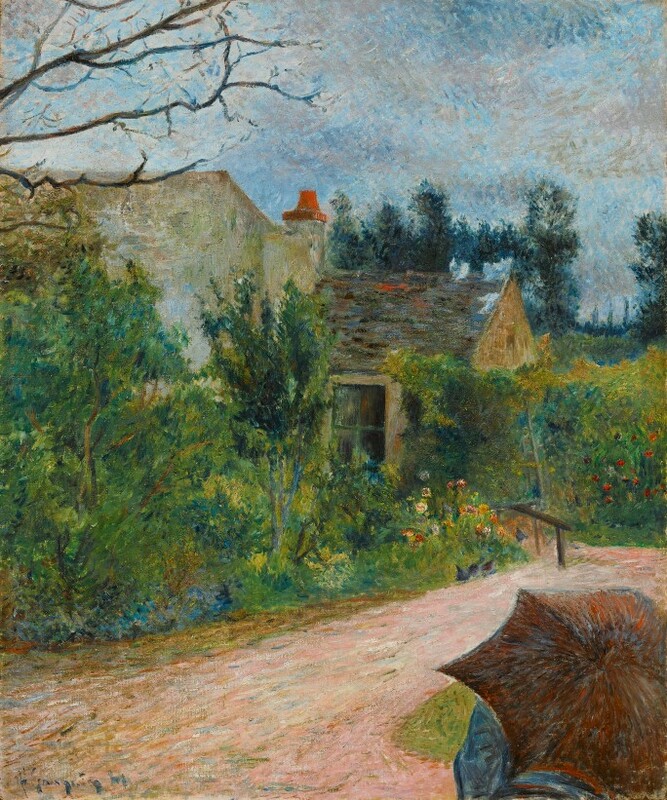 These years were formative for Gauguin and portrays his frequent visits to Pissaro's home, and even contains a touching tribute: in the right corner is likely the figure of Pissarro himself, who used to paint under a parasol attached to his easel. Much more than just a garden landscape, Le Jardin de Pissarro is a tribute to a dear artistic friendship, as well as the first self-portrait of one of the 19th century masters. It is estimated at $680,000-1,000,000. When Will You Marry?, Paul Gauguin. 1892, oil on canvas. Paul Gauguin's paintings are counted among some of the most expensive artworks ever sold. When Will You Marry?, a painting of two Tahitian girls completed in 1892, sold privately for almost $210 million to Qatari royalty in 2015.